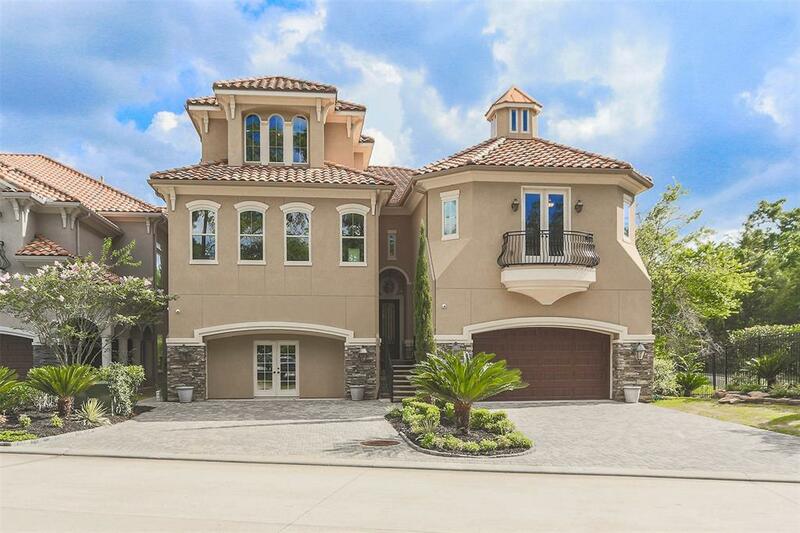 This stunning 3-story townhome in the private gated community of La Vie Villas offers direct waterway access to Lake Conroe and peaceful water views. Quality craftsmanship and unparalleled design are showcased in this 4-bedroom, 3.5-bathroom home featuring hardwood and travertine tile flooring, coffered ceiling, granite countertops, elevator, bonus room, and covered lanai with an outdoor kitchen and fireplace. Built with entertaining in mind, the gourmet kitchen includes a large island, copper farmhouse sink, Sub-Zero refrigerator, Wolf gas range and microwave, custom cabinetry with soft close drawers, walk-in pantry, and wet bar with a Thermador wine fridge. The master suite is the ultimate sanctuary with a private balcony, double tray ceiling, walk-in closet with built-in shelving, his and her vanities, Kohler freestanding tub, and shower with rainfall shower head. This luxury townhome is in a category of its own.